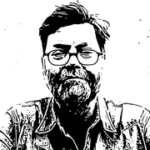 Patrick Colm Hogan is Professor of English at the University of Connecticut, USA, where he is also on the faculties Program in Comparative Literature and Cultural Studies, the Program in India Studies and the Cognitive Science Program. 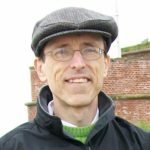 His book publications include The Politics of Interpretation (Oxford, 1990), Colonialism and Cultural Identity (SUNY, 2000), The Mind and Its Stories (Cambridge, 2003), Cognitive Science, Literature and the Arts (Rutledge, 2003), Affective Narratology (Nebraska, 2011) and What Literature Teaches us About Emotion (Cambridge, 2011). Hogan has also edited the Cambridge Encyclopaedia of the Language Sciences (Cambridge, 2011). Arthur M. Jacobs is full professor and founding director of the Dahlem Institute for Neuroimaging of Emotion (D.I.N.E.) at Freie Universität Berlin. He obtained his Ph.D. in experimental psychology from the Sorbonnen in 1986 and held various positions at the Sorbonne, the Cognitive Neuroscience Institute/Marseille, and the universities of Marburg, Eichstätt-Ingolstadt, and Berlin. At FU Berlin, he directed the ‚Emotions and Language’ area in the interdisciplinary research cluster ‘Languages of Emotion’ and teaches Experimental and Neurocognitive Psychology. Author and co-author of over 250 scientific publications, in 2011 he also published the book Gehirn und Gedicht: Wie wir unsere Wirklichkeiten konstruieren (Brain & Poetry: How we construct our realities; München: Carl Hanser Verlag) together with the Austrian poet Raoul Schrott. Raoul Schrott, born 1964, writer. Teaches Comparative Literature in Tübingen, Innsbruck and Berne. 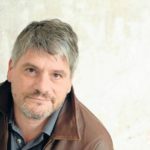 Relevant for the NeuroHumanities Dialogue among his publications are: Die Erde ist blau wie eine Orange – Fragmente einer Sprache der Dichtung, München 1999; Handbuch der Wolkenputzerei – Gesammelte Essays I, München 2005; Homers Heimat – Die realen Hintergründe des trojanischen Krieges, München 2008; Erste Erde Epos, 2016. With Arthur Jacobs: Gehirn und Gedicht – Wie wir unsere Wirklichkeiten konstruieren, München 2011. 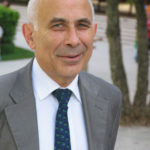 Semir Zeki was Professor of Neurobiology at University College London until 2008 and currently holds the Professorship of Neuroesthetics there. He has specialized in studying the organization of the visual brain and more recently has also been studying the brain systems that are engaged when a visual stimulus triggers an affective state, as with beauty, desire and love. He has written several books, the most recent of which is Splendors and Miseries of the Brain.